There have been plenty of rumors suggesting we'll get a curved screen on the Samsung Galaxy Note 7, but what wasn't clear until now was whether there'd be a flat version as well. History suggested there probably would be, since in the last couple of years Samsung has typically released both flat and curved versions of its flagships, as seen most recently with the Galaxy S7 and Galaxy S7 Edge. 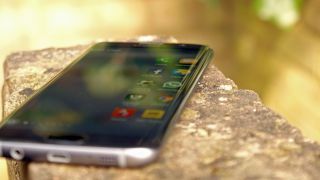 But it seems the company might be going all in with curves now, as according to South Korean newspaper Munwha Ilbo, as reported by The Korea Herald, Samsung is "not considering launching a flat screen version of the Note phone" and instead will launch just a single phone, packing a dual curved edge screen. Given that most recent rumors have pointed to a curved screen this wouldn't be entirely surprising, though Samsung's decision last year to release just the curved Galaxy S6 Edge+ in Europe and not the flat-screened Samsung Galaxy Note 5 seemed to disappoint many, so how the world will take to only having a curved screen this year remains to be seen. Assuming the phone gets a positive reaction this could be the end of flat flagships for Samsung, so don't be surprised if the Galaxy S8 and beyond are only available in curved varieties too. But that assumes this rumor is even accurate and for now a rumor is all it is. Whether flat or curved the Samsung Galaxy Note 7 should be worth the wait though, as it's also thought to have a 5.8-inch QHD screen, a huge 4,200mAh battery, a Snapdragon 823 processor, 6GB of RAM and possibly even an iris scanner. We should know for sure what form the phone will take soon, with an announcement expected in early August.